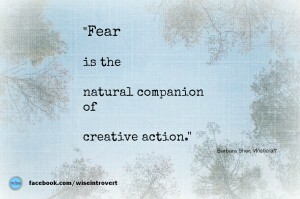 Do you withdraw into yourself when you feel fear? And does that lead you toward choosing isolation rather than risking failure, disappointment, or more pain? I want you to know that you’re not alone. At the same time, I think you know that you’re not making the best choice for your well being and happiness. There’s so much more that’s possible for you. I believe you know this too. Don’t let the mental chatter take control and keep you in isolation. Allowing that to happen will stop your creative action in its tracks. From both my personal and professional experience, I know that withdrawing into stuckness simply doesn’t feel good. It’s time to declare enoughness and stay in positive motion. Don’t get me wrong. I’m a huge proponent of self-care, alone time, and pulling back so you can refuel your energy tank. Taking quiet time for personal reflection, to process information, and to tap into your intuition is a must. What I’m talking about in this post is different. It’s a withdrawing into yourself that no longer feels positive and motivating. It’s a withdrawing into isolation that keeps you feeling lonely and stuck. It’s a withdrawing into a negative state of being where negative thoughts, self-criticism and doubt can stifle the light out of you and make you question your self-worth. It’s a dark and frustrating place. And that’s the place that I’m urging you to avoid. Give yourself a timeline: Like starting a diet, it doesn’t usually help to create a rigid and abrupt all-or-nothing scenario if you want to be successful. So give yourself permission to pull away from the outside world for one day. Focus on self-care if possible: positivity, nurturance, beauty, nature, light, sleep. Then shift back into inspired action. Get an accountability partner: Knowing that you can count on someone to help nudge you back into creative action can make such a difference. When you pay for this through coaching support, it makes it all that more likely that you’ll take it seriously and rise to the occasion (versus having a friend or partner check in on you – let’s face it, they’re a bit easier to say ‘no’ to – ask my husband who agreed to be my fitness coach!). 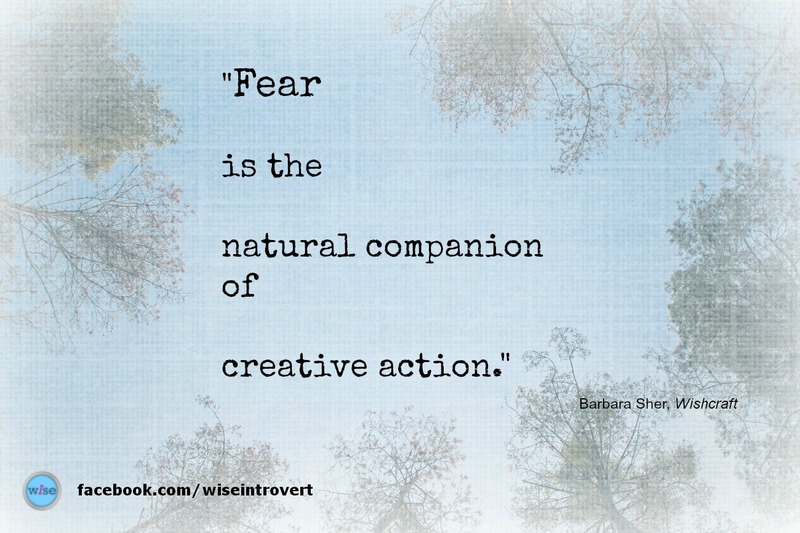 Learn to look at fear differently: Once you understand and accept that fear is a part of the natural creative process, you no longer have to take it so personally (by assigning personal blame or identifying something within yourself that is lacking). Fear just IS. Look at it as an invitation for expansion and growth. Not to overstate it, but the support of a trusted coach can help you address these mindset issues so you can feel more in charge of your success and happiness. Know when it’s time to reach out for more professional support: If you feel that your withdrawal and isolation is a more serious life challenge for you – or you feel that you may be in a crisis situation – please reach out to a physician, qualified mental health professional, or mental health service in your community. Don’t suffer in silence. Find help. Do it now. As an introvert, I understand the inclination to withdraw into yourself when the pressure is on, or when facing change. I understand the inclination to rely on ourselves to figure it out; to work through it on our own. I understand withdrawing into mental chatter and overthinking. And I understand that there are times when that inclination no longer serves our best interests. If this is one of those times, I invite you to reach out and choose connection. If it feels like a fit, I invite you to do that by working with me. Choose connection (not withdrawal and isolation) and get unstuck from your mental chatter. Don’t let more time and opportunity pass you by.